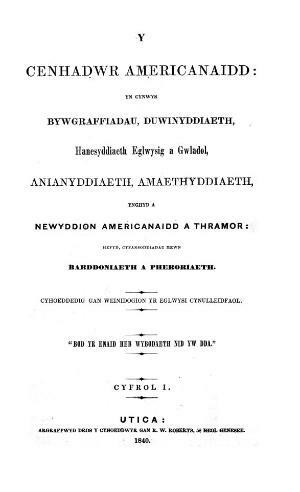 A monthly Welsh language periodical serving the Welsh Congregationalists in America. The periodical's main contents were articles on religion and temperance alongside poetry and news from Wales and the rest of Europe. The periodical was edited by the Congregationalist minister, Robert Everett (1791-1875) until 1875, by his son, Lewis Everett (d. 1881), until 1881, and subsequently by Edward Davies (1827-1905).